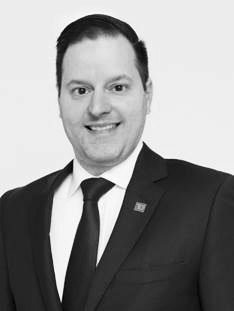 Danny joined TD in 2005 with TD Canada Trust and has also worked at TD Asset Management's Institutional office in Montreal. He joined TD Wealth Private Investment Counsel in 2009 as an Associate Portfolio Manager, where he has been responsible for the construction, monitoring, rebalancing and performance reporting of custom-tailored investment portfolios for high net-worth individuals, trusts, estates, foundations and holding companies. As a member of TD Wealth Private Investment Counsel, Danny works with a group of TD Specialists to create a comprehensive wealth plan helping his clients protect, grow and successfully transition their wealth. Danny has earned an MBA in Investment Management from the Goodman Institute, John Molson School of Business, Concordia University. He holds the Chartered Financial Analyst® (CFA®) designation and is a member of the Montreal CFA® society. Louis is a Senior Portfolio Manager with TD Wealth Private Investment Counsel, a position he has held since 2006. He has over 29 years of experience in the investment counseling industry, specifically in the management of private client portfolios, estates and trusts, not-for-profit portfolios and public and private foundations. As a Senior Portfolio Manager, his primary role is to determine and implement investment strategies and solutions into his clients' portfolios based on their needs, objectives and risk profile. As a member of TD Bank Group, Louis works closely with a talented group of TD specialists who can create a comprehensive plan helping his clients protect, grow and successfully transition their wealth. Louis holds a Bachelor of Finance degree from Sherbrooke University and the Chartered Financial Analyst® (CFA®) designation. He is also actively involved in the community and is a board member of the Père Lindsay Foundation. He is a past president of the Quebec City chapter of the Montreal Society of Financial Analysts. Anneta joined TD Bank Group in 1989 after studying Computer Science at McGill University. She has 25 years of experience in administration of which the last 10 years in her current role. Anneta is responsible for supporting the Portfolio Managers, working as a team to develop and maintain close-knit, long-term, confidential client relationships. Anneta provides day-to-day operational and sales support functionality within the office and will act as an alternate point of contact in your Portfolio Manager's absence. An exceptional client experience is sought at every client interaction and is demonstrated by seeking to surpass service standards at all points of contact with you. Alex joined TD in 2013 with TD Canada Trust as Manager of Customer Service. Alex has a Bachelor of Commerce from McGill University and is currently enrolled in the CFA® program. We believe that Alex is known for her strengths in customer service, her leadership and her ability to work with internal colleagues. Alex acts as a primary contact with regards to account administration and day-to-day inquiries in a courteous and professional manner, while exercising tact and discretion. Alex is responsible for providing consistent and accurate administrative, analytical and service support to clients and Portfolio Managers. She demonstrates our commitment to being a customer-centric organization that puts customers first by striving to ensure legendary service is provided during every customer interaction.